The Hoxie, Arkansas School District is installing 180 new security cameras this summer. 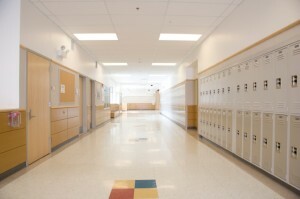 The cameras will be placed in areas such as classrooms, hallways, the cafeteria and outside, around the school. The School District Superintendent says the cameras will not only keep kids safe, but should help decrease discipline problems, allowing teachers to spend more time educating students. In Bay City, Michigan, Bay City Public Schools are installing security cameras in middle and high schools. The district received a grant from Coca-Cola to help better the schools and according to the superintendent, they have wanted to install cameras in several areas throughout the schools for a while now. Each principal at each school has designed a plan for the cameras that will help enhance school security and allow administrators to monitor what’s going on within the school. Several schools in the Alle-Kiski Valley (the greater Pittsburgh, Pennsylvania area) are installing more security cameras in their school systems, hoping to reduce crime. While local residents hope the cameras will prevent drug dealers and child molesters from entering or even moving to the area, local police say cameras have already prevented and solved many problems including vandalism and fightigh, because students know there is an extra eye on them. Camera Security Now can help keep your students safe and help you keep watch over your school. To get a fast quote on security camera surveillance systems visit our website or call 1-877-422-1907 today.